Sandwich shop plans 100 locations: What about advertising? Steve’s breakdown: Melt Shop is going national and they are going to have to expand advertising and probably hire a shop to do the work. 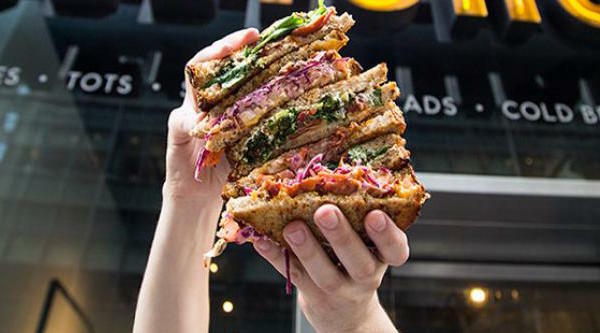 NEW YORK, NY: A start-up that specializes in melted-sandwiches made from high-quality ingredients is looking to go nationwide. Melt Shop hopes to grow to 100 locations during the next five years across the U.S. and internationally via franchising. The brand, founded in 2011 in New York, currently operates six corporate-owned locations in New York, one at Mall of America, Bloomington, Minn., and one in King of Prussia, Pa. It recently expanded into the Middle East and will open seven locations in the region, with four opening in Kuwait by March 2018. “Melt Shop has spent the last six years tirelessly perfecting our brand and business model. The timing is right to bring our New York-born fast casual concept to the world,” said Josh Morgan, operating partner of Aurify Brands, Melt Shop parent company. Part hospitality group and part restaurant incubator, Aurify Brands also owns and operates The Little Beet, The Little Beet Table, Fields Good Chicken, and Make Sandwich.